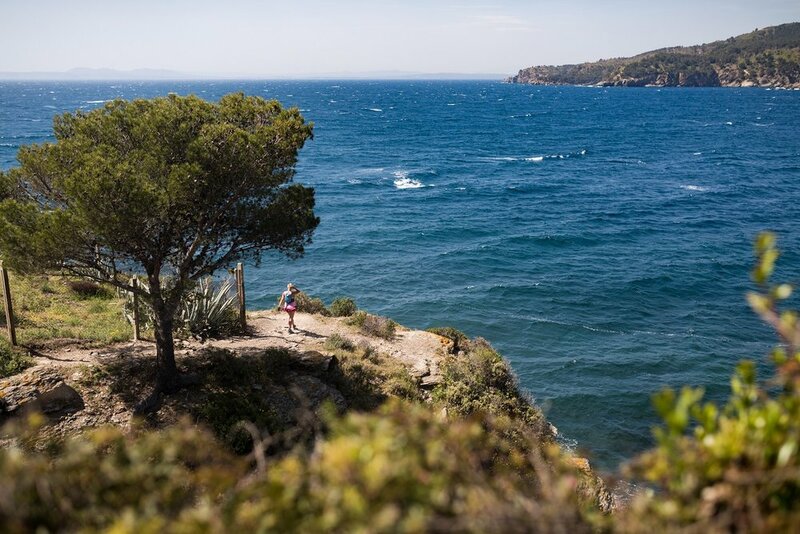 I’m leading a group of eight women running along a narrow dirt trail in Spain that overlooks the Mediterranean Sea. The sun warms this early spring day, making it idea for running. The humid air fills my nostrils and I revel in the smell of the salty sea. Then a surge of pain steals my attention. I wince every time my right foot contacts the ground. Despite the ache, I keep running because I want this run. In fact, I need this run. This group of women is here because I brought them together and I took on the role as trip leader. And yet, the pain in my foot fills me with dread. It‘s telling me, at age 41, I must consider a future in which running is not always possible. That there will be times that the pain is so great I must not run or risk worse consequences, like permanently damaged bones and joints. I’m a runner who’s just been told she has psoriatic arthritis, a chronic autoimmune disease that’s causing unnecessary inflammation in my toe joints, making my toes swell up like little sausages. This is devastating news. Not the part about having an autoimmune disease, because, you see, that part isn’t new to me. I’ve lived with psoriasis of the skin, for 20 years. But at least that disease hasn’t really stop me from living my life. Despite having red patches of unsightly, flakey skin all over my body, I’ve done things like worn a bikini at the beach and appeared on the cover of a magazine. But now a damned disease is affecting my life in a way that really matters. It’s stopping me from running. And that is simply not O.K. I’ve been struggling with my psoriatic arthritis diagnosis for several tear-filled weeks prior to this trip. I felt my life as a runner—and the running retreat business I’ve built around it—slipping away. What would my future hold if running isn’t a part of it? A few miles later, the trail pops out onto a small rocky beach, surrounded on all side by sheer cliffs. A small, dome-shaped building that looked like a converted boathouse was its only man-made structure. Large wooden double doors were flung open to reveal the cozy living quarters inside. Against the left wall was a wood-plank countertop topped with a two-burner stove. Against the other wall was a simple platform bed. Tucked in the corner was a simple table and single chair. The divine smell of warm chocolate came wafting out of this humble home. “Bon dia, Kiko!” said Pablo, our Catalan running guide to its apparent occupant. A sun-baked, pot-bellied older gentleman waved his hand, beckoning us inside. He handed out plastic tumblers and pointed to a pot of the stove. Kiko didn’t speak English, but obviously had something to share. He spooned a small serving of melted chocolate—too rich to call it chocolate milk—into each cup. It coated my mouth and delighted my taste buds with a chocolately goodness like I’ve never had back home. He then motioned to a piece of driftwood hanging from the ceiling. Countless tiny pieces of folded paper of all colors were tied to its thin branches, giving it a Christmas tree-like appearance. The papers had been placed there by travelers from all over the world tramping past his beach shack. I waited for everyone else to finish attaching their wishes before writing my own. The only thing I could think about was fear that this business I had worked so hard to build for the past seven years was compromised because of my health. 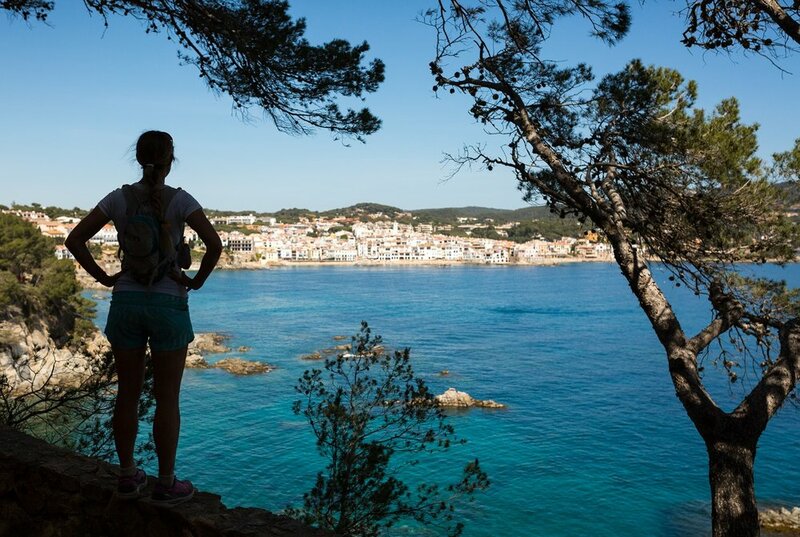 How would I earn a living leading running retreats around the world when I couldn’t count on my ability to run? Was this diagnosis not only the end of my running lifestyle, but also the end of the dream I had determined a decade earlier in Patagonia was my true passion? And if I couldn’t have that, what on earth would I do with myself? I could clearly envision a future for my business in which I was leading a team of retreat leaders and staff who managed the retreats. My role had evolved to training and leading them on how to do that. The solution felt so perfectly aligned with the continuation of my hero’s journey down this path. My health challenge wasn’t an ending, rather, it was just another obstacle on the path I’d chosen for myself. It was up to me to grasp it as an opportunity for further growth.